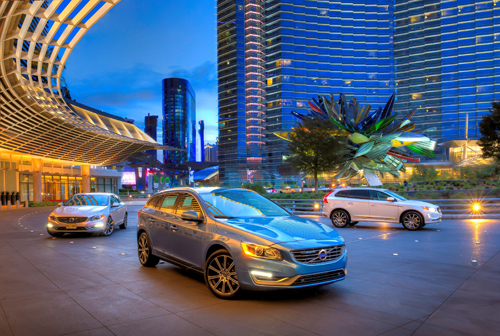 2015 – Volvo V60, S60 and XC60 at Vdara Hotel & Spa on West Harmon Ave in Las Vegas, USA. 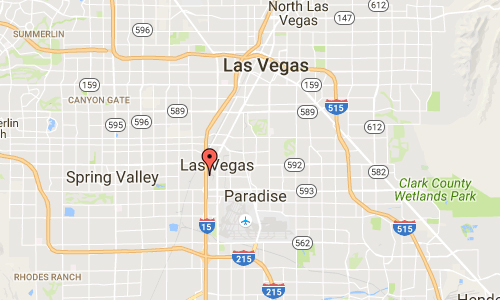 Vdara Hotel & Spa is located on 2600 W Harmon Ave in Las Vegas, USA. Vdara Hotel & Spa is an internationally inspired all-suite hotel and spa designed for those who love the excitement of Las Vegas but prefer to enjoy it in an exclusive, non-gaming, smoke-free setting. The holistic spa, luxurious pool, intimate meeting space, sophisticated lobby bar and casual eatery and marketplace at Market Café create a warm and inviting environment. Located between ARIA Resort & Casino and Bellagio, Vdara offers access to all of the city’s best entertainment, gaming, shopping, dining and nightlife, while providing a retreat from it all. 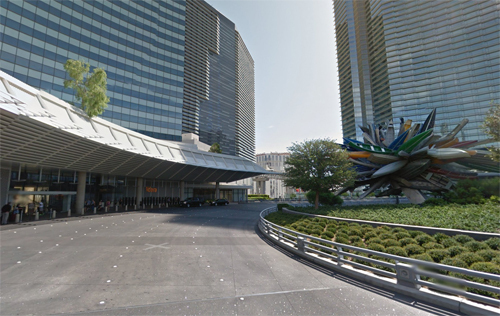 Vdara and its neighboring properties within CityCenter, which is a joint venture whose interests are owned 50% by subsidiaries of MGM Resorts International (NYSE: MGM) and 50% by Infinity World Development Corp, a subsidiary of Dubai World. 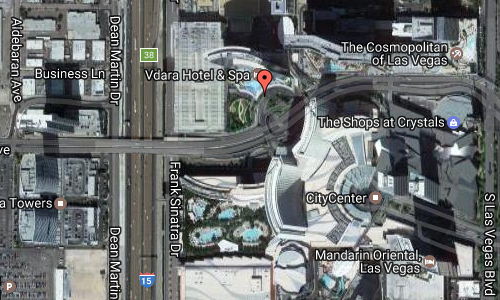 From Harmon Avenue, guests are afforded stunning views of Vdara’s shimmering silhouette. Designed by RV Architecture, LLC, led by Rafael Viñoly, Vdara’s distinctive shape and unique skin of patterned glass creates one of the most striking design statements in the city. Viñoly’s overlapping crescent design resonates with the lines established by Harmon Circle and creates a harmonious dialogue with ARIA Resort & Casino. As guests approach Vdara’s porte cochere, they are welcomed by a large-scale art installation, “Big Edge” by Nancy Rubins, a 75-foot sculpture of small water vessels that make up a wild bouquet of color and shape. Just outside the hotel’s main entrance, the outdoor garden oasis of Bar Vdara intrigues guests with its vibrant colors and reflecting pool. Surrounded by foliage, the space offers a sense of seclusion while delivering dramatic views of ARIA. 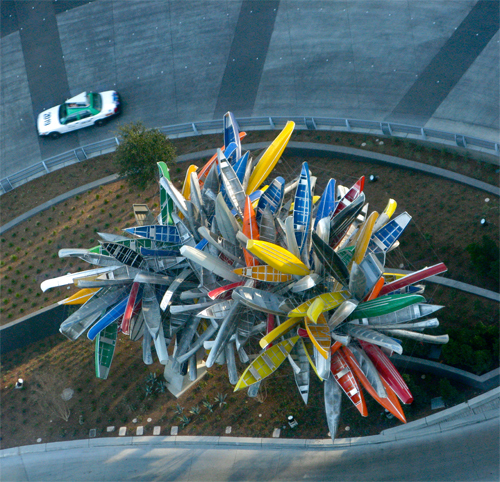 Nancy Rubins (born 1952 in Naples, Texas) is an American sculptor and Installation artist. Her sculptural works are primarily composed of blooming arrangements of large rigid objects such as televisions, small appliances, camping and construction trailers, hot water heaters, mattresses, airplane parts, rowboats, kayaks, canoes, surfboards, and other objects. Works such as Big Edge at CityCenter in Las Vegas contain over 200 boat vessels. Stainless Steel, Aluminum, Monochrome I, Built to Live Anywhere, at Home Here, at the Albright-Knox Art Gallery in Buffalo, contains 66 used aluminum boats and rises to a height of 30 ft.
More information at en.wikipedia.org and www.vdara.com.